Looking for a quick getaway from Miami? The Florida Keys is an easy-to-get-to destination that feels a universe away, making it a killer choice for a close-to-home vacation. Below, the best restaurants and bars in the area. 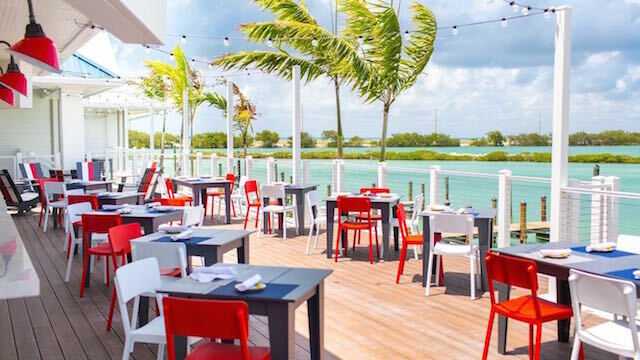 This newcomer at the Hawks Cay Resort in the Middle Keys offers a laid-back maritime feel, a variety of seafood dishes (think lobster Reuben and whole roasted snapper), craft cocktails and panoramic water views. Fishing fans can even bring their fresh catch and have one of the chefs cook it up through the restaurant’s various “hook and cook” options. It’s not always easy to snag a table during sunset at this seafood restaurant and cabana bar in Islamorada, but it’s worth the effort for the bay vistas and live entertainment. And with items such as conch chowder, fish quesadillas, burgers and discounted cocktails and beers during happy hour, the menu here is as chill as the ambiance. “Peace, love and hogfish” is the motto at this New American bistro, which serve creative Florida Keys fare in a quaint, French-inspired setting. Although the rotating seafood menu varies according to what’s caught that day, hogfish, the restaurant’s the signature fish, is always available in four different preparations. This lively, laid-back seafood spot serves ocean views alongside Caribbean fare and rum-based tropical cocktails. 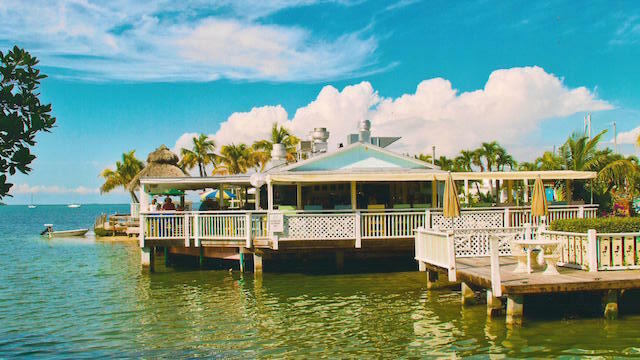 The colorful tiki bar, live music and dockside seating have made Snapper’s a Key Largo favorite since it opened in 1989. 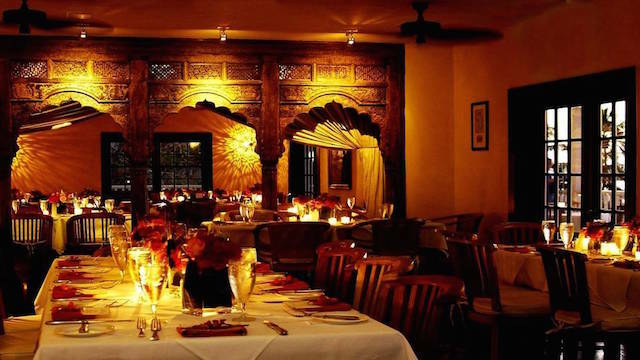 Dining at the Keys doesn’t always have to be a casual affair, and this swanky, romantic spot, located on the second floor of a Colonial-style house within the Moorings Village, proves it. The fine-dining menu features globally influenced French cuisine, including honey-soy-glazed quail and pan-roasted stack of lamb. 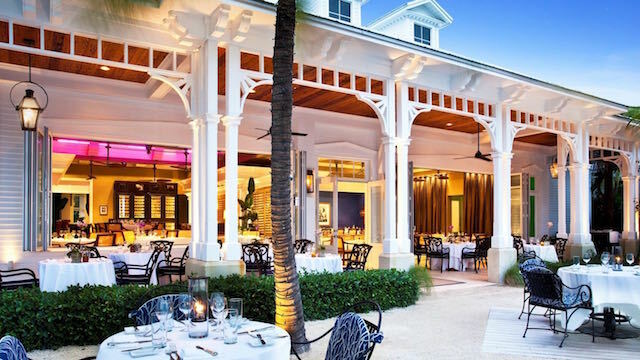 There’s a plethora of amazing outdoor dining options in Key West, but Latitudes at the Westin on Sunset Key is the ultimate in fine dining. The gorgeously designed space features natural wood with tropical accents, beautiful photography, and postcard-perfect views of the sand and waves. 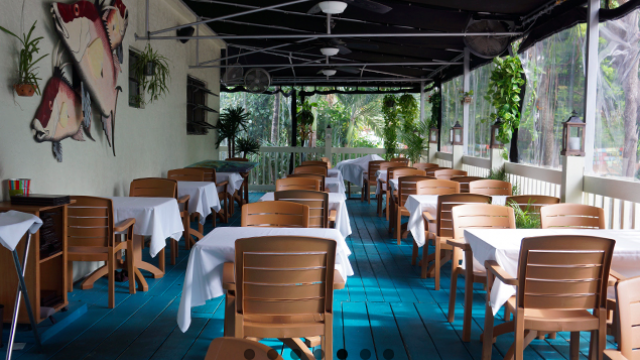 Try the Sunset Key shrimp, coconut-crusted grouper and, of course, the addictive mojitos. Tucked away on a quiet street in Old Town, El Siboney feels like a true hidden gem. Judging by the persistent crowds cramming in here, though, the secret’s out. 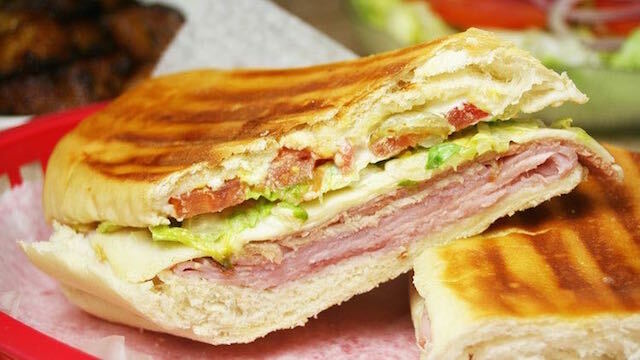 The menu, offering classic, inexpensive Cuban fare, ranges from Cuban sandwiches and roast pork to to ropa vieja and palomilla steak. 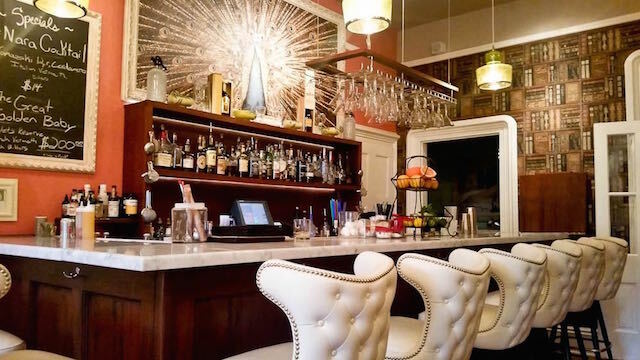 Part of the new generation of Key West bars, this elegant-yet-unpretentious speakeasy in the back of the historic Porter Mansion pours classic and creative cocktails in a library-inspired space. Cross the building’s grand foyer to find The Porch, a craft beer bar by the same owner, which serves more than 18 brews on tap. 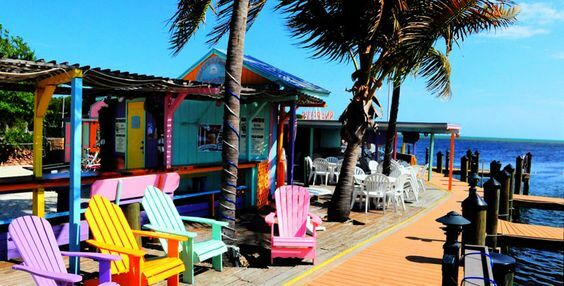 This outdoor restaurant captures Key West’s quirky and free-spirited vibe through funky art, a lush tropical patio, live music and free-roaming cats and chickens. 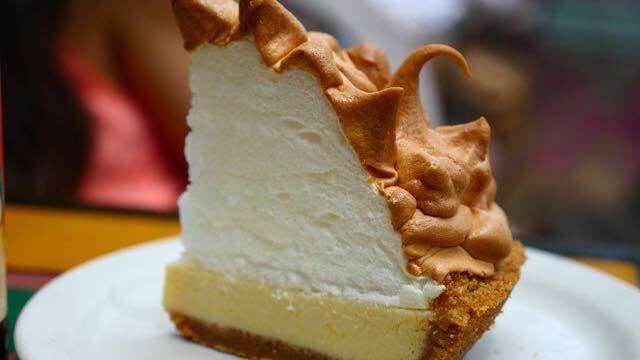 Favorites from its Floridian-Caribbean menu include banana pancakes, lobster eggs Benedict and a renowned meteorite-shaped Key lime pie (pictured above). 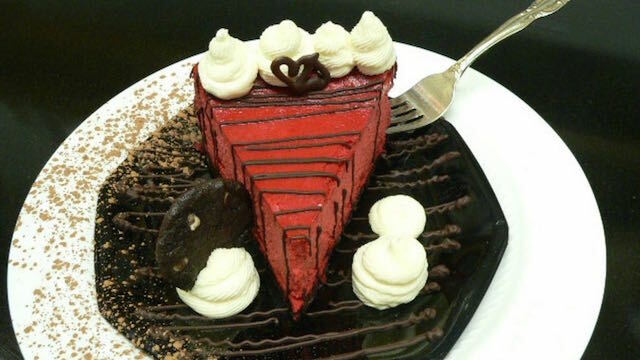 Calories be damned: The decadent creations at this romantic, red-hued Key West dessert bar are some of the best in the area, and they’re totally worth the splurge. The menu offers provocatively named sweets (The Morning After, Cookie Nookie Pie), all meant to be paired with a chocolate-rimmed glass of Cabernet Sauvignon. © 2018 The Infatuation Inc. All Rights Reserved. ZAGAT is a trademark of The Infatuation Inc.